Of India’s many subsidies, the kerosene subsidy is the worst. Yet it has been such a sacred cow that no government has dared tackle it for decades. Different states levy different taxes, but in most cities subsidised kerosene retails at around Rs 23litre (it is just Rs 13.50 in Chennai, because of the state’s additional subsidy). The open-market price of kerosene (used for commercial purposes) is far higher, around Rs 57litre. The government has announced that the price of subsidised kerosene will be raised by 25 paise per fortnight until the subsidy goes. At this speed, the losses suffered by refiners could end in a little over a year.However, the retail price (including taxes) needs to be raised to equal the diesel price. That alone will end the adulteration of diesel with kerosene. Studies show that up to 40% of subsidised kerosene is diverted from poor beneficiaries to the adulteration of diesel, which is more than twice as costly. Adulterated diesel produces massive pollution, much more than ordinary diesel, and the additional truck fumes sicken and kill poor people living on roadsides. The extra pollution hits cities where shopkeepers and industries use diesel gensets to overcome power shortages. Villages using diesel for tractors and pumps also suffer. Subsidising kerosene means subsidising disease and death for millions through pollution. Besides, kerosene-adulterated diesel damages the engines it is used in. Trucks, gensets, tractors and diesel pumps wear out much faster than they should. The subsidy kills machines as well as humans. The major beneficiaries are crooked adulterators. That’s why it is the worst subsidy. Many left-wing critics have said on TV that the poor will not survive if kerosene becomes costly. Really? In 2014, Delhi was declared kerosene-free -all sales, subsidised or not, were banned -with consumers having to shift to cooking gas. Chandigarh became kerosenefree in 2016. Did the poor in these cities cease to live? Did they flee to areas where cheap kerosene was available? Not at all. Indeed, thousands kept migrating from kerosene-available to kerosene-free areas. Haryana has just become kerosene-free last April. All such areas have reduced pollution and hit adulterators, without causing mass distress. What matters for the poor is not the price of this or that item but overall inflation. But consumer price inflation is now down to 1.54%, the lowest for decades. The gradual upward price drift of kerosene will impact the index only marginally. There will never be a better time to decontrol the price. 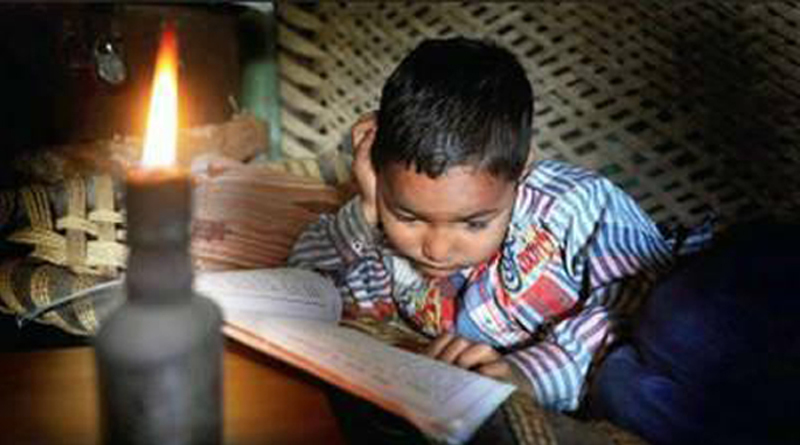 The needy can be given a free solar lamp for lighting, or a direct cash transfer. Subsidies are palliatives. Only rapid economic growth accompanied by rising wages can cure poverty.Subsidies are nevertheless warranted for the needy . But, as Swaminomics has argued for decades, the right approach is to give cash to the needy, instead of subsidising goods that may well be used by the rich or crooks.The subsidy on urea, for instance, goes mainly to richer farmers with large holdings, while some is smuggled into Bangladesh. Ultra-cheap urea discourages the use of green manure which is environment friendly. It also means farmers use an excess of urea and not enough potassic or phosphatic fertilisers (which are not subsidised), and this ruins soil quality. Just as subsidising kerosene benefits the wrong people and activities, so too does subsidising urea, or rural power, or almost anything else. Narendra Modi can no longer be called just an incremental reformer. True, he has moved in baby steps in many areas. But cumulatively they are adding up to a substantial change. When the price of oil was at its height, explicit and implicit subsidies on petroleum products were 2% of GDP. The UPA government devised the strategy of raising the price of petrol in baby steps.The Modi government has extended this to all petroleum products, and buttressed the change with direct cash transfers to the needy. Soon oil subsidies may be down to zero, freeing lakhs of crores to be spent on improving infrastructure, health and skills. The risk is that new subsidies will take the place of the old. The farm loan waiver that started in UP has spread to other states, and looks certain to be announced in all states going to the polls in the next 18 months. UP, Rajasthan and other states are starting subsidised canteens along the lines of Tamil Nadu’s “Amma Canteens“. Ending the kerosene subsidy is a step forward, but the battle for sensible government spending is nowhere near won.